Poaching in Merchant-Ivory territory, director Joe Wright did right by Jane Austen's Pride and Prejudice two years ago. 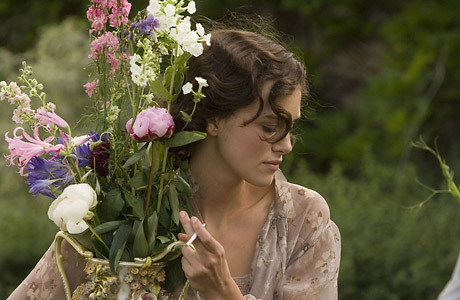 He reunites with leading lady Keira Knightley in this Ian McEwan story about the naive perniciousness of youth. Saoirse Ronan is terrific as the confused 12-year-old, and as the tale twists over the decades, the mood shifts from beguiling to devastating.